You never thought it would happen to you. Then an injury or illness disrupts your life. You’re facing overwhelming medical bills. Out of work, you’re dealing with a loss of income, too. If you’re over 50, the task of recovering your health and finding new work seems hopeless. At age 50 and above, it gets easier to win Social Security Disability benefits. Benefits come with monthly checks and Medicare health coverage—just what you need to hold on to your independence and dignity. Social Security has special rules for people over 50. The key for you is taking advantage of those rules. 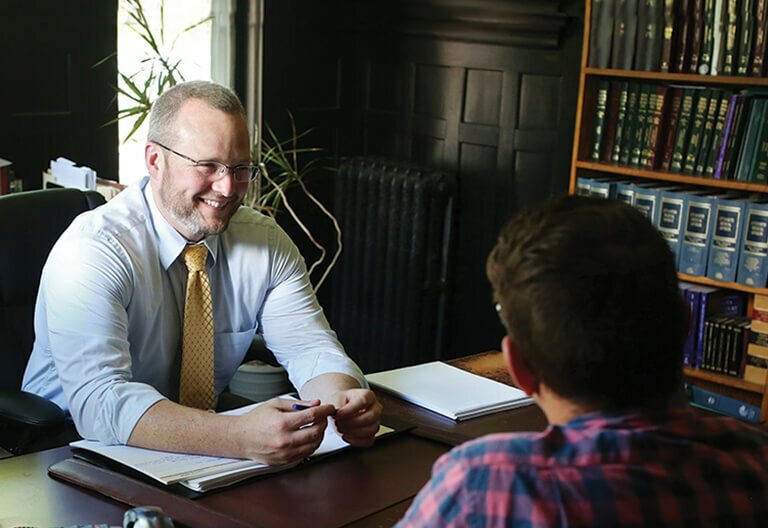 Get an experienced disability attorney who makes sure you get credit for your age when you apply for benefits, or appeal a denial. The Fargo and Grand Forks attorneys at the Schneider Law Firm stand up for you every step of the way. What Are the Special Rules for Disability Over 50? You can find the key to winning disability benefits for people over age 50 in No. 2. You can’t work in your previous job anymore—and the reason is your health. Your health problems are also severe enough to prevent you from switching jobs. When you reach 50, Social Security considers it more difficult for you to change to a new line of work. As you move up in age from there, Social Security becomes less and less strict about deciding that there’s some other kind of work you could do, which would make you ineligible for disability benefits. In other words, your health problems at this age are more likely to prevent you from doing any work at all, which is crucial to winning Social Security Disability benefits. You don’t pay anything for the legal team at the Schneider Law Firm to evaluate your options. What Is Your Social Security Disability Age Group? According to the Social Security Administration, just over a quarter of today’s 20-year-olds will experience a disability at some point before reaching age 67. Part of determining whether you qualify for disability benefits is assessing your age. Younger Person, 18-49: You must go beyond proving that your health problems keep you from doing your most recent work. You also must prove you can’t do ANY other job you might be qualified to hold. Closely Approaching Advanced Age, 50-54: Now Social Security believes your age has a major impact on your ability to adapt to different work. You’re no longer held to a tough standard of proving you can’t do any other work. Person of Advanced Age, 55 and up: It becomes even easier for you to prove you can’t work at all because of your health problems? At the Schneider Law Firm, we know how to present your case to Social Security in a way that makes your age work in your favor. You worked for years, maybe all your life. A portion of every paycheck went to Social Security. That means you paid for the Social Security Disability program. It’s a form of insurance. When you can’t work, you’ve earned the right to receive benefits. To claim your Social Security Disability benefits, work with an attorney who treats you like a neighbor, not like a number. The Schneider Law Firm is dedicated to helping our neighbors in North Dakota and northwest Minnesota. No matter your age, when you’re facing hardship, we’re friendly to you but forceful with anyone who stands in the way of the help you need.